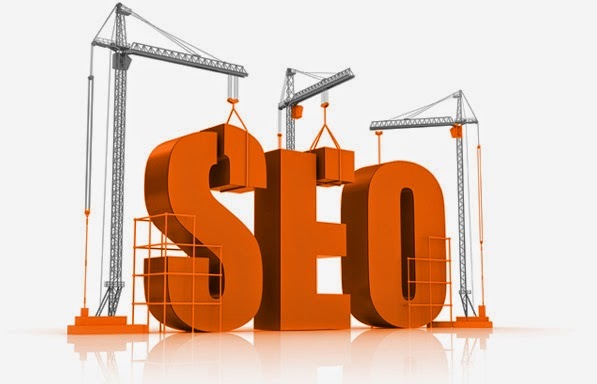 Seo(search engine optimization) is a basic and important thing for a blog or website's traffic. Seo is of two types one is on-page seo and another is off-page seo, off-page seo includes many thing among which one is blog title optimization. While creating a blog there are many thing to take care of such as category, description, meta tags etc but a very important thing is having a good title. Good title means a title which describes your blog category properly. Let say if you have a blog about fashion then what would be the best title for it? I think it would be Fashion, style, latest fashion clothes or something like New fashion for boys and girls, fashion 2014 etc. But it is not just about having a good title another thing comes when a post is created, so when a post is opened it will display only post title and not represent you blog title which is not good for seo. So for displaying blog title beside post title you will use a separator between post title and blog title. It is a good way to optimize post titles that's why I have created a post about adding a separator between post and blog title before. But adding a separator between blog and post title is not useful for all blog specially if a blog has a long title such as mine, my blog title is 101Helper | Blogger tips,tricks,widgets,tutorials,seo but when a post is opened and browser tab is hovered it represents only 101Helper so how did I do it and why? In above image the results shown by Google is just name of the post and after separator there is only 101Helper... similar to Google bing also shows only 101Helper after post title so if you have a blog having long title then you have to optimize it for better seo. In above example I have used a post having small title, what would happen if I search for a long title? such as Tips to increase blog traffic and generate more than 600 page-views/day Google will show only Tips to increase blog traffic and generate more than 600... therefore I have to optimize my blog title in such a way that after post title it show only 101Helper so if you have a blog having long title or you want post title alone or want your post titles to be followed by blog title then you are at right place. In this post I will tell you how to optimize your blog title in different ways according to your needs. How to optimize blog title for seo in blogger? Step 2: On the template page click on Edit Html. Step 3: Click anywhere in the Html and search for <title><data:blog.pageTitle/></title> by using Ctrl+F on your keyboard. In the above code green colored | is a separator between blog and post title, you can use another symbol instead of it. I have previously created a detailed post about how to add a separator between your blog and post title for seo you can read it here if you don't understand it. In the above code replace Your blog title with your blog name and beside it separator is also added in this code you can use other symbols instead of it. When you replace Your blog title with your blog name then when browser tab is hovered it will show post title, a separator and blog name which you type in place of Your blog title, so your long blog title is reduced and now its seo friendly. After using this code when you will open a post and hover browser tab it will show only post title. It is similar to the second one but it has a little difference, by using the second code your post titles will be followed by blog title but this code will show your blog title first and the post title after that. So if your blog title is searched on the web all posts will be shown in results as all of the post titles will have your blog title. Why does the second code doesn't show all posts in search results? its because some posts have long titles so search engines show your post title but hide blog titles in dots. Use this code only if you are sure that people use to search your blog name to reach your blog otherwise it may result in low traffic. You can see that in second code Your blog title was in last so it showed your blog title in last but now it is first so it will show your blog title first. Just replace Your blog title with your blog name and you are done! Step 5: After replacing anyone of the above code click on save template and you are done! Title optimization is a good step to make your blog seo friendly, but with title there are so many other things which also need to be optimized such as links, meta tags, robot tags, 404 page not found redirection etc. Therefore I have created a post which is all in one seo pack for blogger you can fully optimize your blog by reading that post. It works 100%, to read the all in one seo post click here. If you have any question or suggestion leave a comment below or contact me. Follow and subscribe to get instant news about seo. If you like this post please share it with others. Search tags: seo for blogger, seo tips for blogger, blogger seo tips, seo tips 100% working, all in one seo tips for blogger, Blog title optimization for seo in blogger, how to get traffic for blogger, how to generate organic traffic for blogger, 101Helper seo tips 100% working. Thanks for your comment, read more posts and share your experience. Hello, you are right about everything you said and the solution to it is to hide the title with css and show a logo instead, i can help you if you give me URL of your blog. Also tell me if you have enabled custom template for mobile site? I have checked your site and its ready for mobile site, disable the mobile view and its done, your desktop template will adjust with mobile screens. Hello, I disabled the mobile view, put the logo picture instead title, and tried with a long title, however long title continued to appear in the mobile site slider bar. Yes, but as I tell you, the problem continues. At this moment it is not seen because I was forced to rewrite the short title because if I leave the long title this looks very bad on the site. Do you have another idea to solve the problem? Maybe what you initially suggested about hide the title with css and show a logo instead. Thank you very much for your help, you are a awesome. Something is wrong with your template because usually this doesn't happen, I can fix this If I have template code.